In blender, place all ingredients. Cover; blend on high speed 1 to 2 minutes or until smooth. 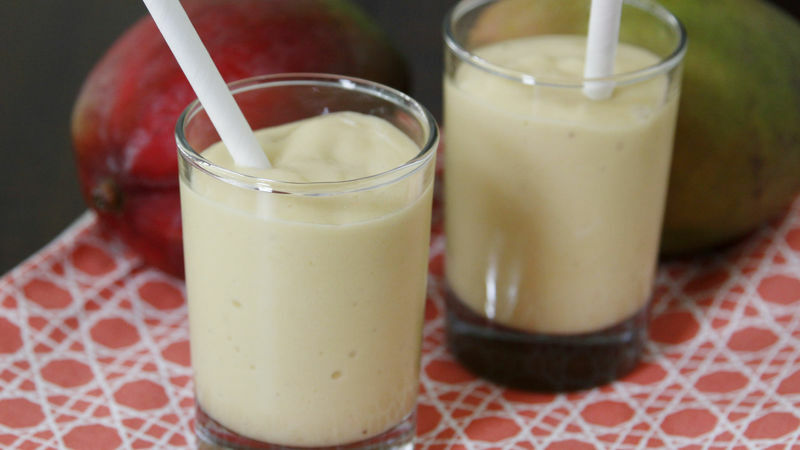 If your grocery store carries frozen mango puree, use that in place of the mango chunks and reduce the blending time. You can also use your favorite frozen berries in place of the mango. Agave nectar can be substituted for honey.